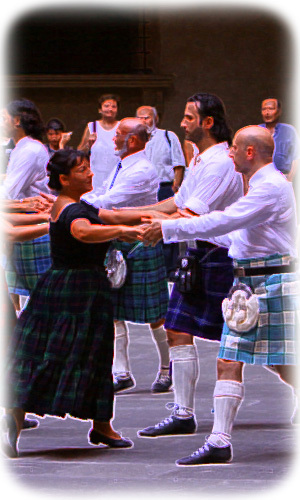 The Royal Scottish Country Dance Society - Northern Italy Branch (or simply NIB) is a cultural association born in Bologna, september 24, 2011, devoted to advancing and promoting education of the public in traditional Scottish country dancing. The NIB works in northern Italy, from its two headquarters: Vicenza and Bologna. The NIB is the first Italian Branch of the Royal Scottish Country Dance Society, from which inherits both the educational system and the repertoire of dances, as tools for teaching, practicing and promoting of Scottish Country Dances, thanks to its certified teachers. The NIB organizes weekly classes for adults and children, workshops, Grand Balls, and nuch more.